If you think the two international championship golf courses in Tagaytay Highlands are among the country’s most challenging and exciting, try the new 9-hole addition being constructed in its Midlands, dubbed as Midlands Lucky 9. 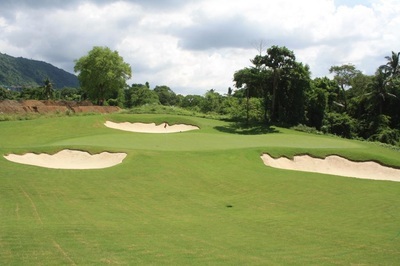 The course, from hole 1 to 9, are teeming with the tricky options on how to attack the always well-protected greens, each with its own unique character and fascinating landscape that can be deceiving to a surprising yet rewarding extent. Some of the greens are incredibly small yet, never spared from blind approaches made up of both man-made and natural obstacles, which include deep ravines and bunkers, grassy hollows, tree lines and formidable but beautiful water feature hazards. Reaching the green can be a reward by itself as it ushers in a picture-perfect overlooking Taal Lake and Volcano, making of the golfer feel like playing on the top of Planet Earth. Also within view is Tagaytay Highlands’ Swiss cable car and funicular system, the only one in the country, shuttling the golfers and providing an aerial view of this majestic 1,300-hectare property and its magnificent scenery inside and out, including its fully-landscaped, world-class and high-end sports and recreational facilities and themed international communities featuring exotic architectures. However, the awesome and inspiring beauty of this golf paradise and its environs can be entrancing to a player unless he focuses on his game plan and the challenge at his hand. 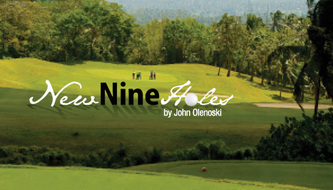 This new 9-hole addition was conceptualized by John Olenoski who has been designing golf courses in Arizona, California, Pennsylvania, Texas, Mexico, and the Philippines. Olenoski came from prestigious international golf design companies Arthur Hills and Associates and Nicklaus Design before starting out on his own after 16 years of extensive international experience. 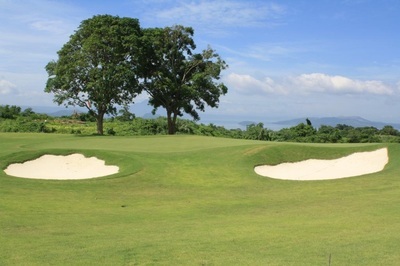 He is now working on the design of the fourth nines at the Tagaytay Midlands golf course, bringing the number of 218-hole championship golf course in Tagaytay Highlands to a total of three, each with its own clubhouse and other support recreational facilities to cater to all the members of the family. Making up the entire property are the 360-hectare Highlands (2,000 to 2,500 feet above sea level), the 670-hectare Midlands (1,000 to 1,500 feet above sea level), and the 260-hectare Greenlands (400 to 920 feet), all having its own cluster to exclusive, gated, master-planned and self-contained international communities. Majority of the properties in these themed international communities come with membership rights to Tagaytay Midlands or The Country Club at Tagaytay Highlands and access to a myriad of other leisure facilities, amenities, and conveniences. Aside from the golf courses and the cable car system, there are mini golf links, driving ranges, kids playground, go-karts and biking courses, tennis courts, swimming pool, fishing pier, equestrian, park, pony, hiking and biking trails, paintball camp, tennis courts, and indoor sports center with bowling, billiards, badminton, table tennis, basketball/volleyball and squash courts, lap pool, and internet gaming, and children’s recreational and learning center, aerobics and fitness center with massage services, cigar room, antiques shop, helipads, greenhouse, sports and sundry room, chapels, botanical park, and animal farm, 24 hour medical, clinic, lodging facilities, amphitheater, vegetable and flower garden, library, auditorium, conference center, 24/7 security and emergency medical and fire-fighting teams, 100-percent emergency power supply system, independent and unlimited water supply system, in-house landscaping and home maintenance services, rental/leasing servicing for units, and wi-fi zone.